In today’s technology-driven world, one of the foundations of a strong customer experience is data. But with so much data floating around, it can be difficult for companies to know what information to use to best expand their strategies and reach the right customers. 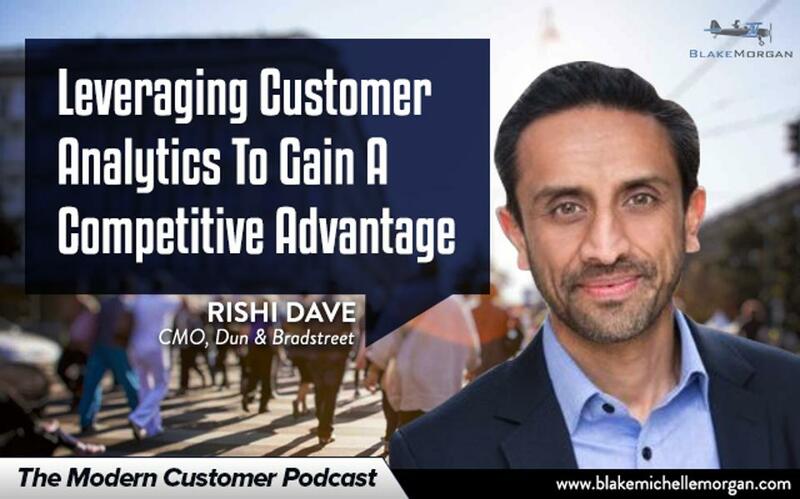 According to Rishi Dave, chief marketing officer at Dun & Bradstreet, when data and analytics work together, they can be leveraged to create a strong competitive advantage and build an exceptional customer experience. Rishi says that companies struggling with data need to first understand the current state of their data and to see if it matches the company’s strategy. Are the analytics in sync with the overall goals of the company? In many cases, the answer is no, often due to not having the right data or using data that is old and outdated. If that is the case, companies need to reevaluate their overall goals and see how data analytics can play a role in their strategy. CMOs also need to learn to leverage master data and bring in additional third-party data. Companies should be collecting their own data from customers through surveys, web traffic, and call center logs, and then supplementing that data with information from other sources to get a complete view of their customers. Those data insights can then drive an improved customer experience. Data analytics will play a huge role in the future of the customer experience. Having a strong understanding of data puts companies in a better position to use new technologies like artificial intelligence and chatbots to create a personalized experience for each customer. For example, Walmart recently announced that it will be investing heavily in putting sensors in items it stocks in its stores, which will allow the company to know when a product runs out or expires and automatically send the customer more. Being able to transform customer data and collect more data with sensors provides customers a more personalized experience. As technology grows and we can gather new data through sensors and connected devices, the ability to better understand the customer will only increase. Data opens new doors for understanding customers and creating an incredible customer experience, and the analytics available today provide companies the opportunity to create sophisticated models to drive their decisions. Brands that can best take advantage of data analytics will set themselves apart and have a large competitive advantage.